Even if you have the simplest of skin care routines, chances are, exfoliating is part of it. Exfoliating is usually done by introducing physical or chemical exfoliants, such as gritty scrubs or topical acids, which are sometimes harsh for those with sensitive skin. 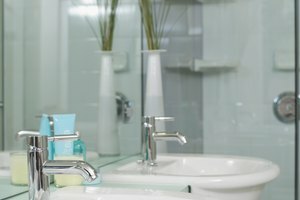 If you’re looking for an all-natural way to exfoliate, look no further than your bathroom sink and consider adding a toothbrush to your treatment regimen. Why Should Skin Be Exfoliated? Exfoliating plays an important part in maintaining the health and happiness of the skin for a number of reasons, be it on the body or the face. Stimulating the skin through exfoliating increases blood flow to the area, which encourages cell turnover to reveal a glowing and healthy-looking complexion. Exfoliation is also an essential part of keeping pores clean, clear and unclogged, which is especially needed among those with acne-prone skin. Why? Dry or dead skin cells left resting on the top layer of the skin can combine with excess oil within pores to create acne-causing bacteria known as P. acnes. This bacteria can sometimes provoke an inflammatory response from within the body, which can result in symptoms such as pimples. The bristles of a toothbrush make an excellent alternative to other exfoliants for two reasons: They're all natural, usually won’t irritate skin and are often gentler, since you have total control over how deep a clean you give your complexion. If you’re exploring the idea of using a toothbrush to exfoliate your skin, but aren’t quite sure where to start, a good area to focus on is the lip area. After applying a gentle balm, cream or hydrating mixture to your lips, simply slough away flakes by running bristles over the skin in a circular motion. You can use any lip balm of your choosing, or create a DIY scrub from olive oil and sugar if your lips aren’t too damaged or cracked. You can use a toothbrush to exfoliate the skin as well by following a slightly tweaked version of the same instructions used for treating the lips. If you’re looking to exfoliate the skin on your face, it’s best to start with wet skin and very soft bristles. Depending on your skin type, you can opt to add your usual facial cleanser or moisturizer to prevent unwanted friction. Be sure to use gentle motions and a light hand to reduce the risk of damaging pores. To exfoliate areas of the body, where the skin tends to be thicker, dry brushing before you hop in the shower can be a great way to stimulate blood flow and soothe any rough patches, particularly around the knees, elbows and heels. As with any item that’s about to come in contact with your skin, clean is always the way to go, so opt for a brand new brush if you’re looking to slough away skin on the face. Lips and body can probably pass with a used brush, but if you’re exfoliating any acne-prone areas such as the chest or back, it’s best to err on the side of caution. Additionally, a manual brush is best as it allows more control and less risk of irritation if you fail to move it around enough. Electronic facial cleansing brushes operate on the same idea, but if you’re going to exfoliate with a toothbrush, stick to the nonelectric, old-fashioned variety for the best results.